With its blockchain platform Maecenas, DXMarkets puts the art market on the brink of a revolution. DXMarkets was one the start-ups which participated in Fusion’s first acceleration program back in early 2016. Its COO, Miguel Neumann, had explained how blockchain would facilitate illiquid portfolio management during Notz Stucki’s January 2016 investment conference… Well, little more than a year after, here we are! After months of hard work, DXMarkets has created Maecenas, a blockchain-driven platform where shares of fine art are bought and sold. 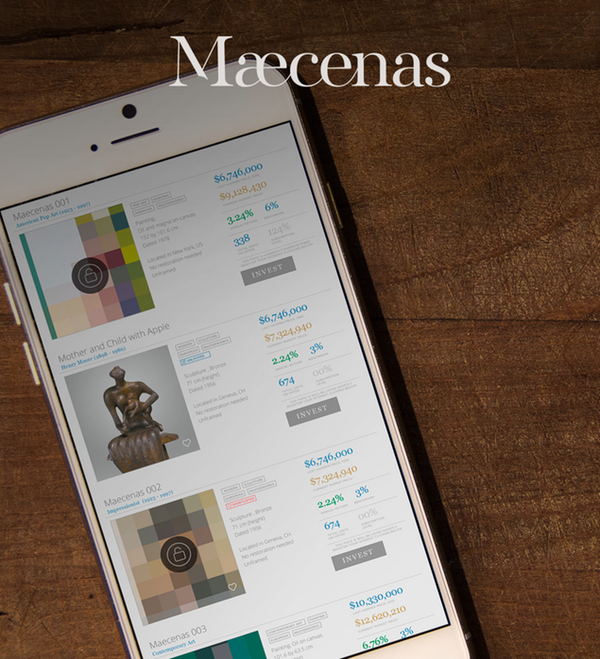 On the platform, Maecenas divides great artworks into fragments, bought or sold by investors – just as they would buy or sell a share of a listed company. Which means investors can own a fragment of an artwork they could otherwise have never afforded. On the other side, galleries can auction their masterpiece through Maecenas, selling fragments of the artwork – paying much lower fees than with traditional auction houses and getting immediate access to investors. “The gallery, for example, puts the art ownership in a Special Purpose Vehicle (SPV) and owns 100 percent of that vehicle. And then the gallery sells 49 percent of the SPV on the Maecenas platform. The crowd buys shares in this SPV. The beauty of this is that the gallery raises money and still gets to hang the masterpiece in an exhibition. And as the value of the art increases, the gallery and the Maecenas investors see the value of what they own rise. Plus, there will be a leasing fee so that the investors are paid for use of the artwork in the gallery. In other words, Maecenas creates a liquid market for fine art investments by splitting the masterpieces into fractions. This is one of the concrete applications of blockchain. And when we think about it, not only any kind of art can be auctioned on such a platform but in fact, all kinds of valuable and tangible assets such as collectible cars, vintage wine, etc.